The only pregnancy guide you need, now updated. Understand what is happening to you and your developing baby from the moment of conception to giving birth, to the first six weeks with your newborn baby, with this in-depth week-by-week guide to pregnancy. Based on up-to-date research and full of detailed scans and images, Your Pregnancy Week by Week shows you your baby's remarkable development in the womb. Perfect for first-time mums, the book guides you through the physical and emotional changes you will experience, and through every aspect of your antenatal and postnatal care from the first signs of pregnancy to breastfeeding and beyond. The book's advice and reassurance ensure that you will have the best possible understanding of this extraordinary and wonderful time. 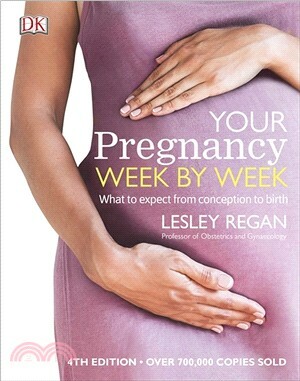 Professor Lesley Regan, the world-renowned obstetrician, draws on both her professional and personal experience as the mother of twin daughters, to explain exactly what is happening to you and your developing baby week by week. This pregnancy bible is completely up-to-date in style and content, ready to appeal to a new generation of mothers-to-be.